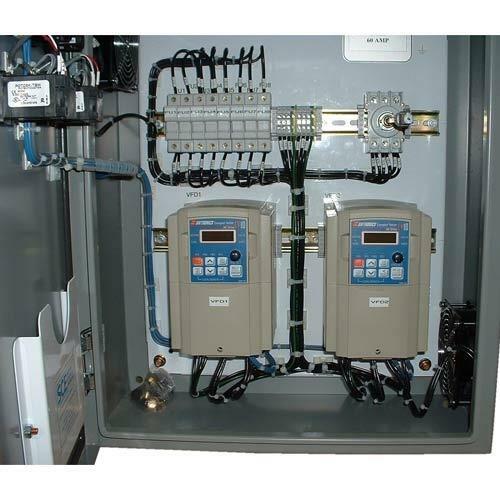 Made available by us is a remarkable range of AC Frequency Drives. The products we offer are developed using optimum grade raw material sourced from the reliable vendors of the market, due to which these are considered highly reliable. All our products are widely applauded by the patrons for their energy efficiency, low maintenance cost, trouble-free performance and reliability. We, Chintamani Control Systems Private Limited, are one of the leading manufacturers, exporters and service providers of the optimum quality of DC Drives, ABB Drives, Control Panel Fabrication Service, etc. We export our products to Indonesia and Gulf countries. Manufacturing of these products was assured owing to our well-equipped infrastructural facility. These products are known for their easy installation, elegant design, resistance against corrosion and longer functional life. To understand and meet the precise needs of our patrons, we follow customer centric approach. Under the administration of T. J. Sawant (Director), we have attained a new horizon in this domain.